31 Luglio 2017 /in Blog Italiano /da Matteo S.
In the end a final decision has been taken for resolving the problem regarding the Venetian Banks (Banca Popolare di Vicenza and Veneto Banca), the Italian Government and the ECB have approved the acquisition from Intesa Sanpaolo for 1 euro. 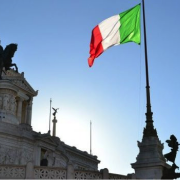 The requests from Intesa Sanpaolo for saving the North-East Italian economy are many but the government didn’t have another solution because of rigid European regulations and the critic situation. The most important Italian bank, Intesa Sanpaolo, will buy the good bank, while the bad bank with the non-performing loans and all the riskiest assets will be managed by the government. Moreover, many billions has been given to Intesa from the government for managing the performing assets of the Venetian banks, with the aim to reach profitable revenue in only two years. An amount equal to 17 billions of public money is available to solve this issue, but it is estimated that only 10 billions will be actually used. On the other side, Pier Carlo Padoan, the Italian Minister of Economy and Finance, believes that the Treasury will recover these investments thanks to the risky assets coming from the bad bank, if managed in the right way. Many Italian citizens are not satisfied with this solution, as their money is being used to resolve problems concerning private banking companies. Despite this, it is really important to remember that without this solution and with the bail-in the macroeconomics damages to the Italian economy would have been around 30 billion euro. We shouldn’t forget the Lehman Brothers’ case and that the Noth-East is one of the most productive areas in Italy. Since banks are connected with the economic and financial environment and for this reason it is impossible to make use of the bail-in without a reliable industrial plan. This could save thousands of jobs and isolate the bank from the economic and financial environment. This means that the management of all the transactions, services, credits and loans would be entrusted to another institution, which could operate in the place of the insolvent bank. By doing so, it could be possible to save the real economy and the interests of all citizens. Nevertheless, the solution adopted by the Italian government is without doubt effective and for sure better than the liquidation hypothesis. In this scenario the other possible solutions could have been another intervention form Atlante but in many cases, though, Atlante’s investors claimed that they were not available to contribute anymore, as earlier their participations had been devaluated several times. Now, with the acquisition from Intesa these participations will be worth nothing. Another possible solution could have been the investments of Poste Italiane but it the end this institution did not do a reasonable offer. Finally, the most interesting solution could have been the precautionary recapitalization and the merger between Banca Popolare di Vicenza and Veneto Banca. In this way the government could have spent less than the hypothesis adopted, around 5 billion euro, but the ECB asked at least 1 billion of investment from the private sector before allowing the government recapitalization. This is really difficult to realize because even if it is necessary to respect the rules, these should be connected with the real economy and it is obvious that it is quite impossible to ask such a huge investment to the private sector to save two banks in difficulty. In fact, no investors offered to join in this operation. For this reason Pier Carlo Padoan tried many times to ask to the BCE a reduction of the required investment but the request has been rejected. This is a clear example of the scarce coherence between regulation and real economy, rules should be contextualized to the environment. The support of the whole Italian banking system, as Intesa Sanpaolo suggested, could have been a better solution. Although it could have been risky but in this way every bank could have contributed depending on its importance in the banking system. The problem was that only a few banks were available for this solution. With this solution Banca Popolare di Vicenza and Veneto Banca could have continued to work independently, the competition in the banking system would not have decreased and now there wouldn’t be the problem of the redundancies. Moreover, the Venetian economy needed its own banks, these two banking institution are part of the history of the Venetian economic and financial environment, as they contributed to the development of many companies and today is the end of an epoch. At the present moment, the Italian banking system is reliable and healthy because the most important issues have been solved and the financial markets will probably react well because now there are better future expectations regarding the profitability of this sector. Intesa Sanpaolo will certainly earn a lot from this acquisition because they bought the health part of the two Venetian Banks for only 1 euro while the riskiest assets will be managed by the government. The market trend can confirm the expectations of the shareholders and it is highly probable that the market share will continue to growth. The decree law has been approved by the chamber and with a high probability will be approved also in the Senate. In the matter of the negotiations between Intesa Sanpaolo and the trade unions (Fabi, First Cisl, Fisac Cgil, Uilca , Unisin-Sinfub and Ugl) there will be 4000 voluntary retirements. At least one thousands in the perimeter of the former Veneto Banca and Banca Popolare di Vicenza (completed in one year) and the other three thousands in the perimeter of Intesa Sanpaolo. 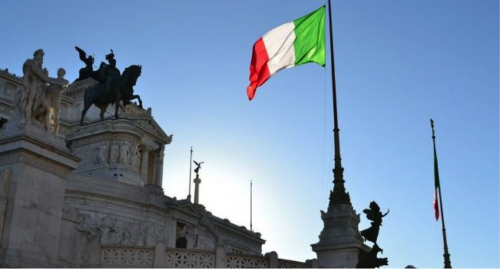 Exits will be managed through the Solidarity Fund with a maximum stay of 7 years for workers of Veneto banks and 5 for those of Intesa Sanpaolo. The first exit window is fixed on 1 October 2017. The pre-retirement age in Intesa and the Veneto banks includes all those who mature their pension requirements at December 31, 2022 and December 31, 2024 respectively. Exits will be voluntary for all banks involved and for those of Veneto banks it has been decided to maintain welfare benefits for supplementary pension, health insurance, good meal and corporate agreements in force up to 30 June 2017. Despite this, the question that people should ask themselves is not whether it is better to bail-out a bank with public money or not, but rather if our economy is a sustainable one because there are many other larger problems than the singular banking case. Surely, the financial bubbles are an example of the inefficiency of our economies. The Dow Jones reached record values and now it is worth three times the capitalization that it reached before the housing bubble. It is inevitable that another bubble will burst soon, this time generated not by banks, but by social media and students’ loans. Comparing the balance sheet of the most famous app with their values in the Stock Exchange it is obvious that the markets doesn’t reflect the true value. Moreover, the competition between students is always fiercer and for this reason they decide to go in the most famous and expensive Universities of the world, even if they cannot afford the University fees. They are convinced that with their work it will be easy to repay loans. And what about the unemployment rate of our economies? Maybe with the right regulation all problems could be solved or maybe the problems come from the pillars of our economies. What is sure is that, with the robots there will be soon a new industrial revolution, for surviving we must change our way of thinking and, most of all, how we organize the economic and financial environment. The structural problems of the Italian and European economy are still numerous in addition to the banking problems. Cyclical crises are hard to contrast, and the whole system needs to be rethought from the point of view of its logic to ensure greater stability, efficiency and, partly, also development.